The CFL1 (Candle Flame Light) is a LED flame spectrum simulation light for props and scenery. 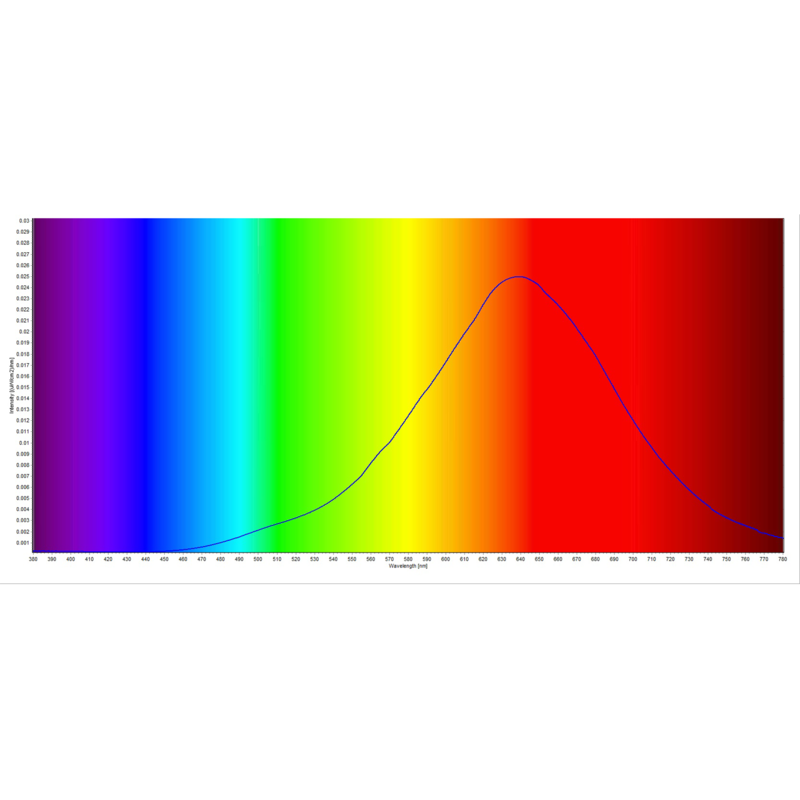 The candle flame light creates a 1,722 Kelvin candlelight at nominal 90 CRI (Color Rendering Index) suitable for replicating the light of large candles, torches, lanterns, oil lamps, and other vintage old world light sources. 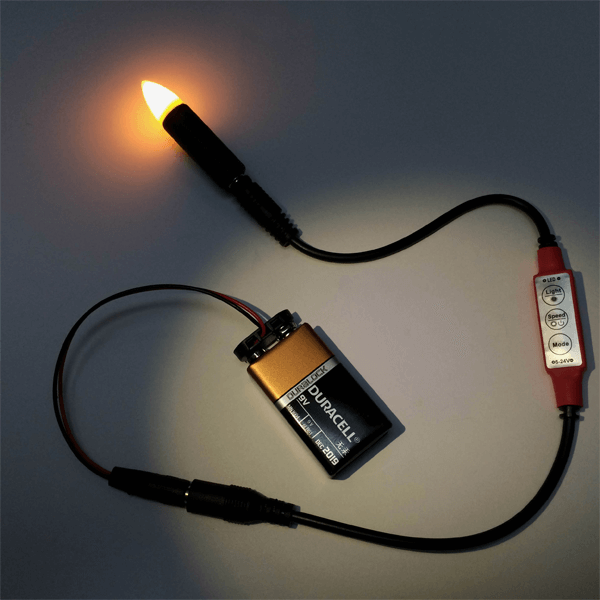 The light is used with the FEC1 (Flicker Effects Control), for a dynamic flickering flame simulation light. The CFL1 LED light combined with the FEC1 flicker control can be operated from a 9 volt battery or from 12 volts DC. 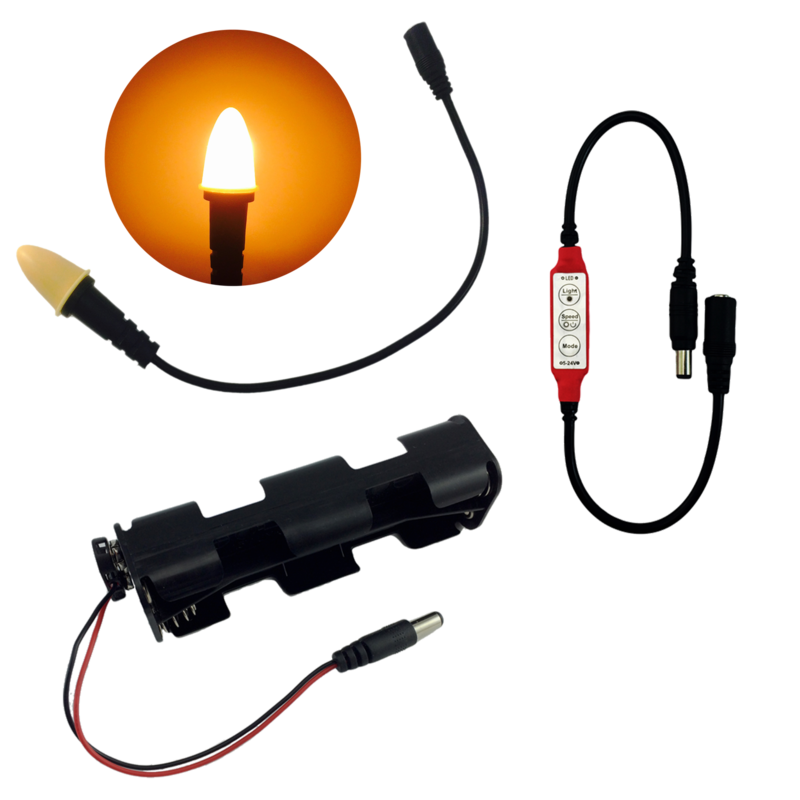 The 9 volt operation simplifies building hand held candle props for theatrical stage use. 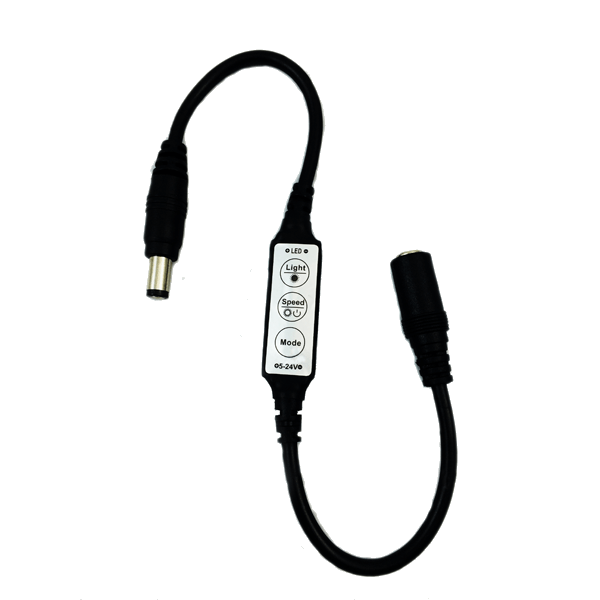 When operated from 12 volts DC the candle flame light and flicker control provide a higher level of light output. 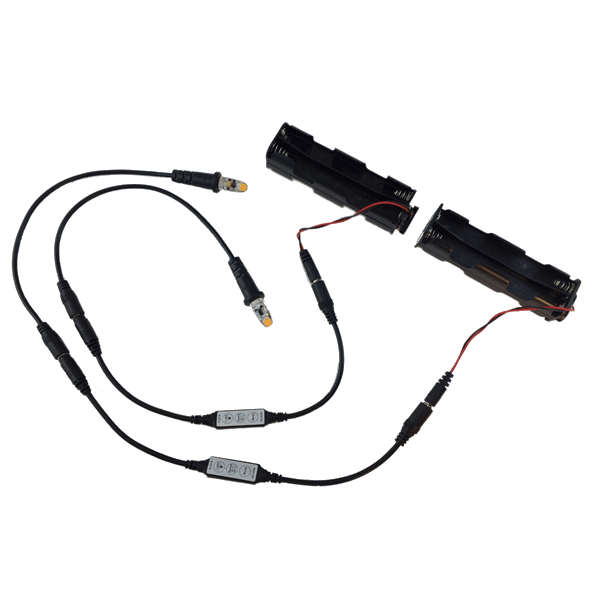 The 12 volt DC operation may be used when building lantern or torch props for fixed scenery lighting applications. The CFL1 is mated with an EEL1 cable socket that is designed to be press fit into rigid foam, wood, or other soft prop and scenery building materials. 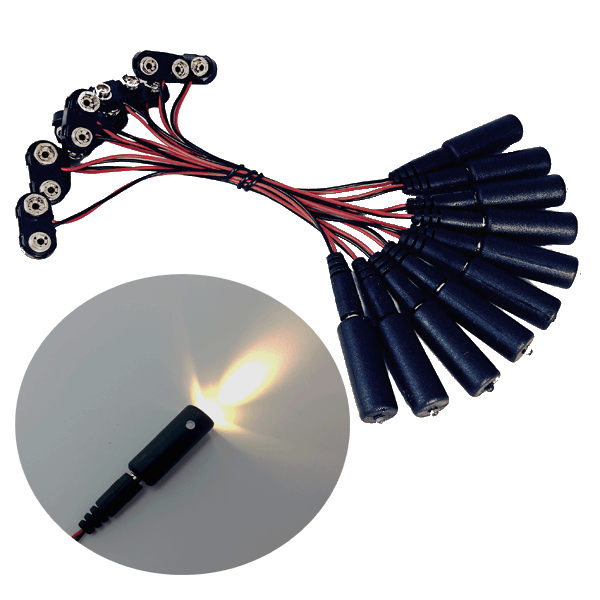 The components of the kit use DC barrel connectors for a plug and play design. 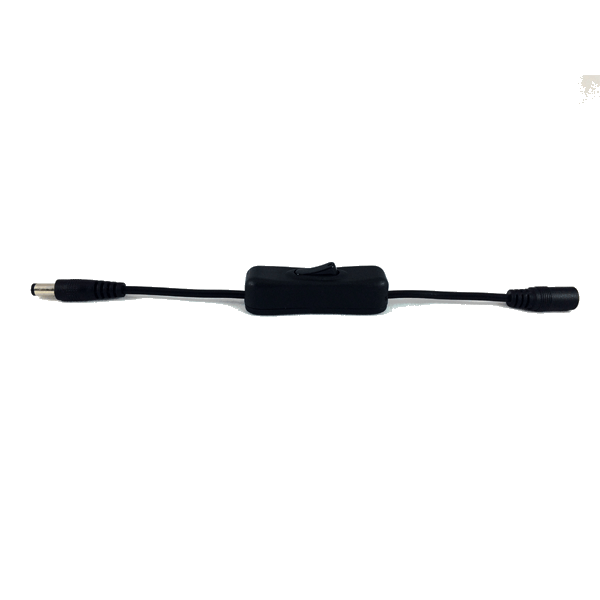 The FEC1 flicker control retains the last flicker mode and speed setting when the control is turned off or the power removed. 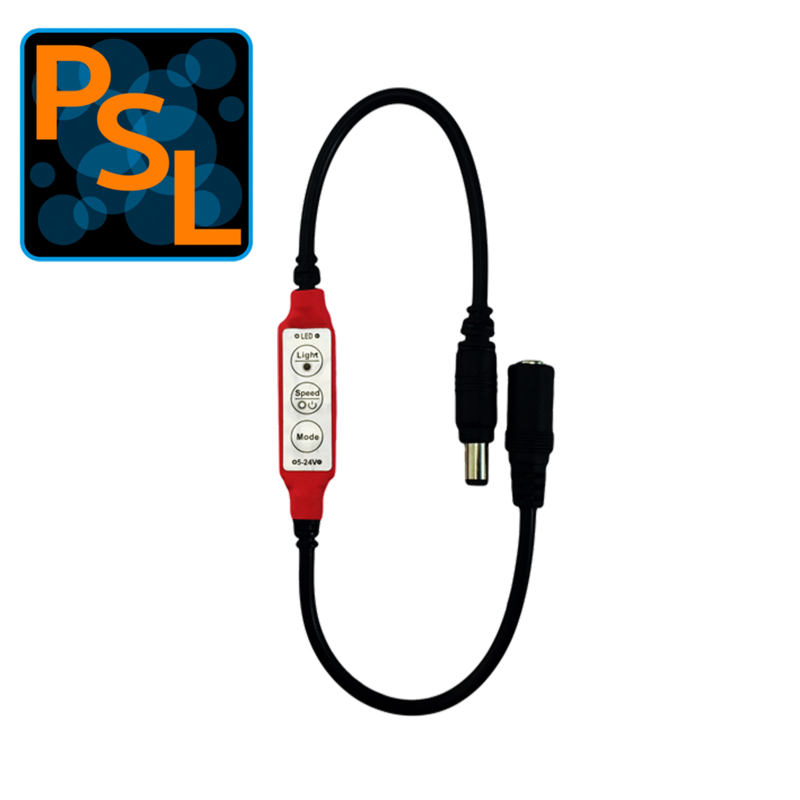 For easy on / off control such as for hand held prop torches and lanterns, an LLS1-3A inline rocker switch can be used with this kit. The LLS1-3A switch is not included in this kit. 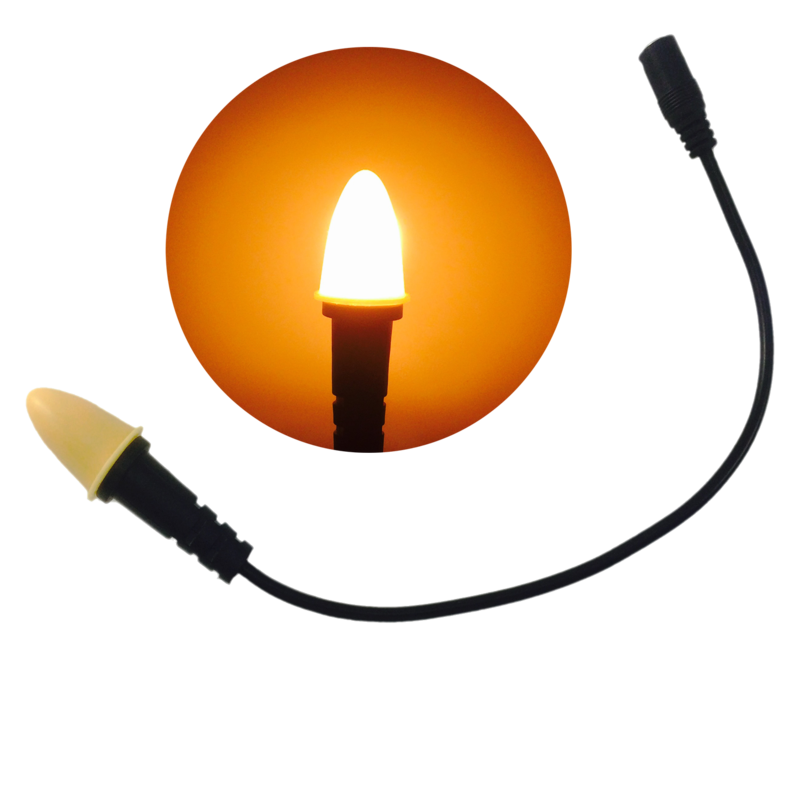 The candle flame light uses a soft silicone dome that is flame shaped. The candle dome also provides a soft light diffusion. The CFL1 is removable from the EEL1 cable socket. When operated from a new 9V battery, the operating time of the kit is expected to be more than 8 hours. 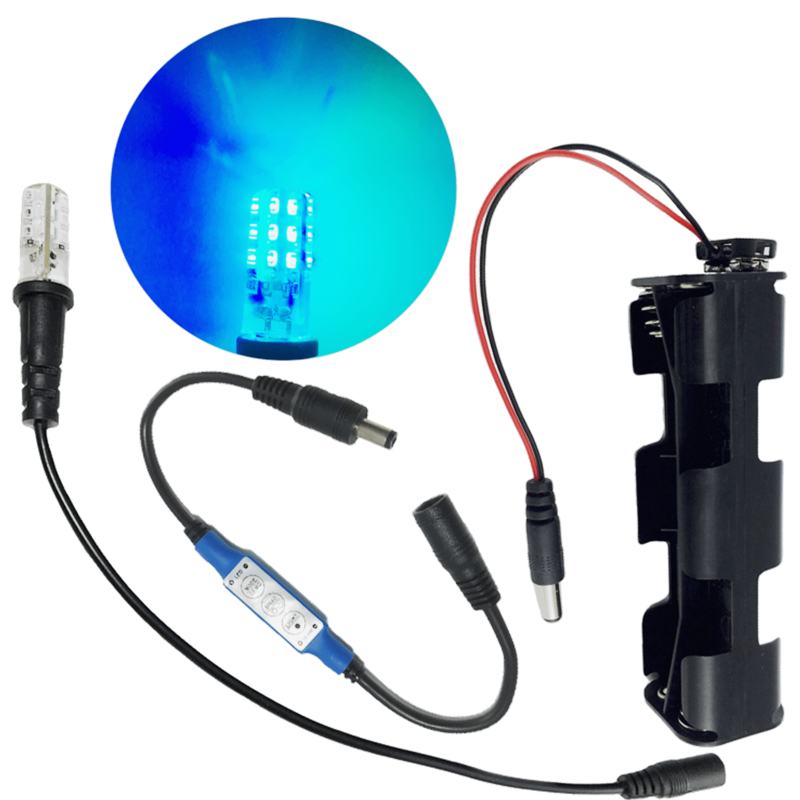 CFL-FEC1-KIT1 includes a CFL1 candle spectrum LED, EEL1 cable socket, FEC1 flicker effects control, a 9 volt battery clip, and an 8 AA cell battery holder for portable 12 volt DC operation. 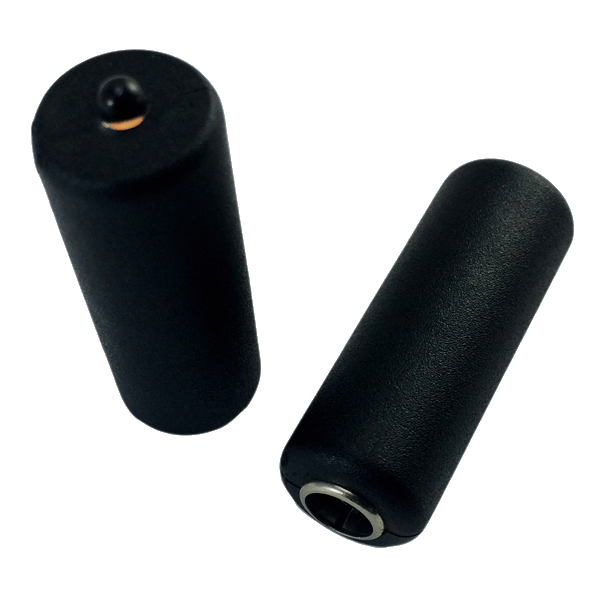 The AA cell battery holder snaps onto the 9 volt battery clip. The overall length of the assembly is 30” nominal. The CFL1 LED has a power of 0.54 watts Typ. at 9 volts DC and 1.38 watts Typ. at 12 volts DC. The current at 9 volts DC is 60ma, and at 12 volts DC it is 115ma. The CFL1 light output is 13 lumens nominal at 9 volts DC and 24 lumens nominal at 12 volts DC. 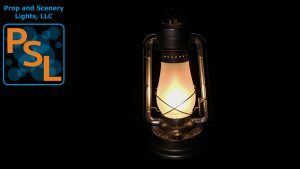 When building prop lanterns or oil lamps the use of a diffusive window, chimney or globe is best for achieving a realistic flame light appearance. The materials should be a milky white or frosted light transparent material or one with a surface texture to scatter the light. 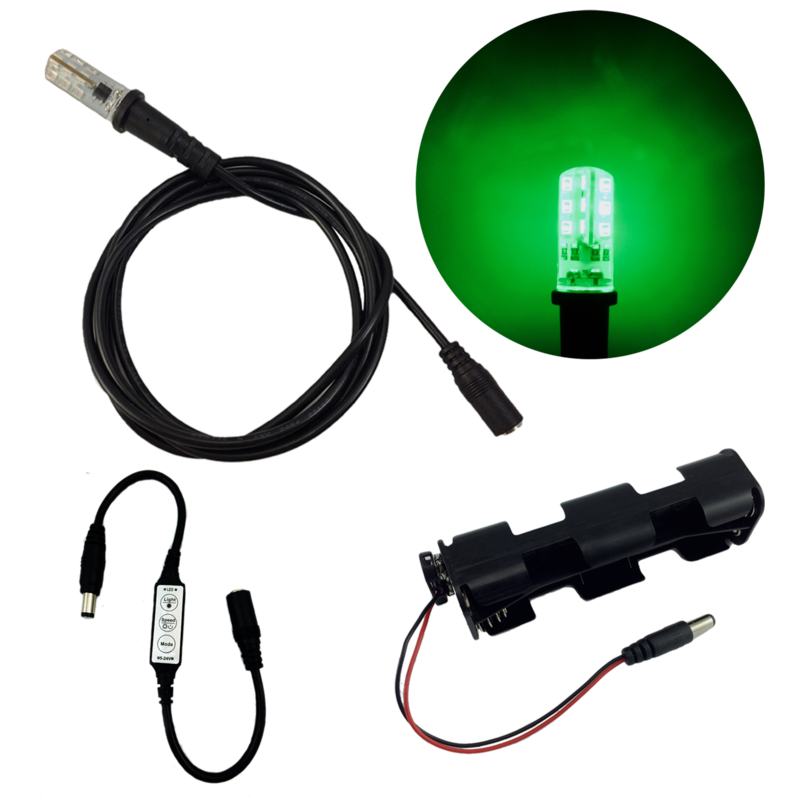 Below is a link to a demonstration video of the CFL1 kit used in a prop lantern.